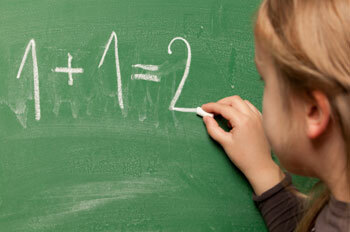 If you have a child in the 5th grade, then chances are that he or she must complete an array of math problems. Keep reading for information on math workbooks and practice problems that you can administer to your 5th grader at home. In most schools, 5th grade math curriculums are based on the Common Core State Standards. For this reason, getting familiar with these standards can be very useful when it comes to helping your child at home. In the 5th grade, you child will most likely be required to study data and measurement, geometry, basic algebraic equations, fractions, decimals and abstract reasoning. It's likely that your 5th grader has a math workbook from school. You can purchase workbooks online or from education stores. However, there are many websites providing free 5th grade math practice problems. You can also create your own. Creating your own workbooks from math practice problems can be fairly simple with the right resources. 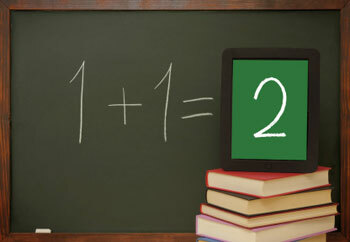 You can compile math problems from websites and from your child's homework, tests and quizzes. Look for problems that your child gets incorrect frequently and be sure to include similar types of problems in your homemade workbook. The following are a few examples of 5th grade math problems that you could create. To help your 5th grader with rounding numbers, create a worksheet that asks him or her to round a series of numbers to the nearest tenth. All you need to do is come up with the numbers. For example, '243' rounds to '240', '87' rounds to '90' and '4567' rounds to '4570'. Next, you could ask your child to round these same numbers to the nearest 100th. First, your child must multiply 3.75 by 10 to come up with '37.5'. Next, he or she must multiply 4 by 12 to come up with '48'. By adding 37.5 and 48, your child will come up with the solution to the problem, which is '$85.50'. Have your child multiply a number by a percentage. For instance, to find 68% of 87, your child must first convert the percentage to a decimal. In this case, 68% would become 0.68. Then, multiply 87 by 0.68, which is 59.16. Be sure that your child can correctly interpret the answer. In this case, 59.16 is 68% of 87.